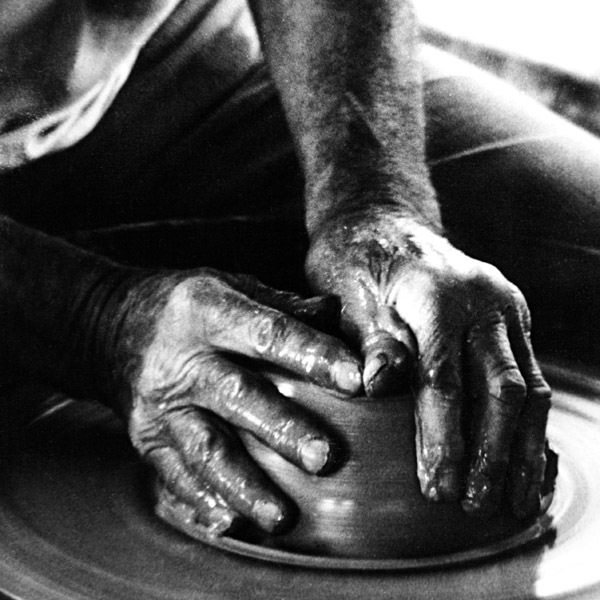 Mirek Smìšek: 60 Years 60 Pots is a stunning survey of our pioneering studio potter. Born in Czechoslovakia in 1925, Mirek Smíšek (OBE) has forged a career as a remarkable New Zealand artist since arriving here in 1951. Mahara Gallery has produced the first ever full survey exhibition and accompanying publication considering Smíšek’s life’s work. 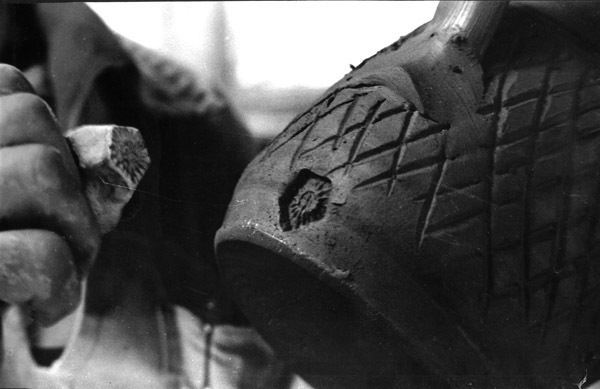 “Mahara Gallery’s exhibition ‘Mirek Smíšek: 60 Years 60 Pots’ is a stunning survey of our pioneering studio potter. Mirek’s ceramics are gutsy, resolute and brilliantly muscular. 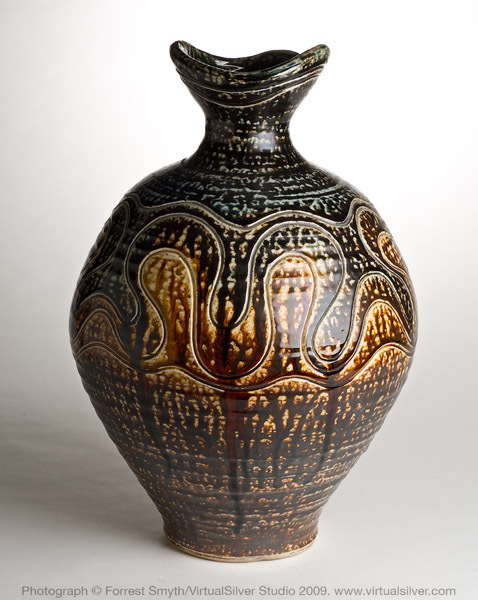 In balancing his forms with innovative texture and limpid glazes he creates pots that actually breathe with life. His melding of ancient Asian and Continental ceramic traditions is a bravura affirmation of an artist’s innate affection for the everyday. An important exhibition celebrating an exceptional talent”. Ron Brownson, Senior Curator New Zealand and Pacific Art, Auckland Art Gallery, Toi o T?maki. 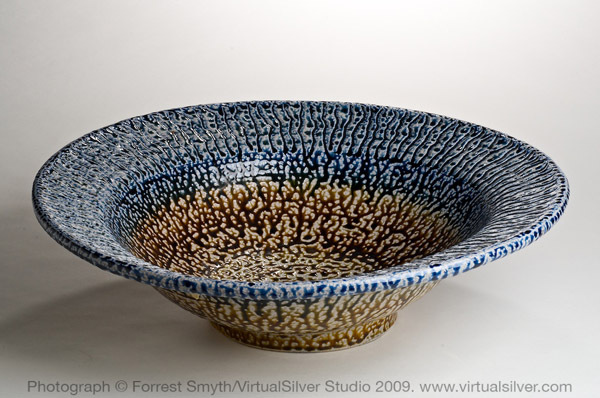 “Mirek was one of the earliest and a genuine pioneer of studio pottery in New Zealand who gave inspiration to us all. He needs to be at least as well known as the generation that followed him. 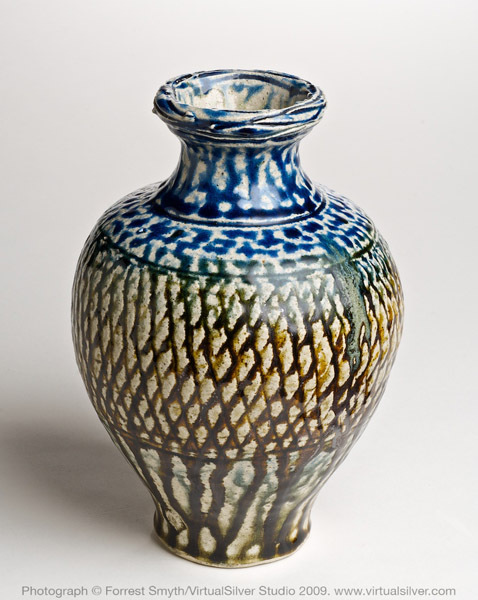 ‘Mirek Smíšek: 60 Years 60 Pots’ is a genuine revelation of his achievement”. Hamish Keith, art writer and cultural commentator. “Mirek Smíšek is one of our great treasures. In the 25 years I have spent working on the fringes – and at the heart – of the decorative arts, Mirek stands out as a maker of real stature, accomplishment and generosity. His personal story, his ‘attitude’ as a maker, his innovative practice and his distinctive works deserve wider recognition and fuller appreciation”. Tim Walker, past Director of The New Dowse, art consultant. “In the pantheon of those other ‘core’ post Second World War studio potters who laid the path for another way in studio based ceramics, Smíšek’s career has, surprisingly, not yet received a full survey and analysis which records and recognizes his achievements. This unquestionably needs to happen to extend and balance the conversations about his part of the story”. Louis le Vaillant, Director / Curator The Johnston Collection, Melbourne. “For too long we have tended to concentrate on the work of just a few of our senior potters to the exclusion of others. This extremely valuable and comprehensive exhibition and its fine accompanying book achieve for Mirek Smíšek something that was due to him many years ago. 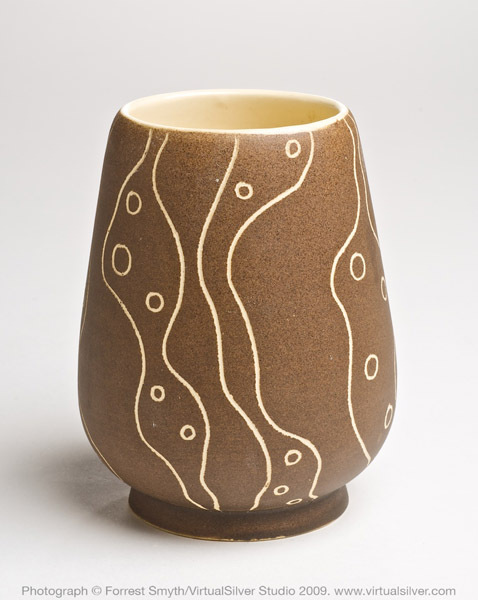 His work always had a distinctive character which needs to be recognised again as interest in the history of New Zealand’s studio pottery steadily continues to grow” Peter Shaw, curator, art historian and writer. Born in Bohemia in 1925, Smíšek left Communist Czechoslovakia in 1948 in search of freedom and determined to live a creative life, after spending much of War Two in Nazi prisons and labour camps. He began his working life as a potter in Canberra and Sydney in 1948-49, then assisted English potter Ernie Shufflebottom at Crown Lynn in Auckland in 1951. 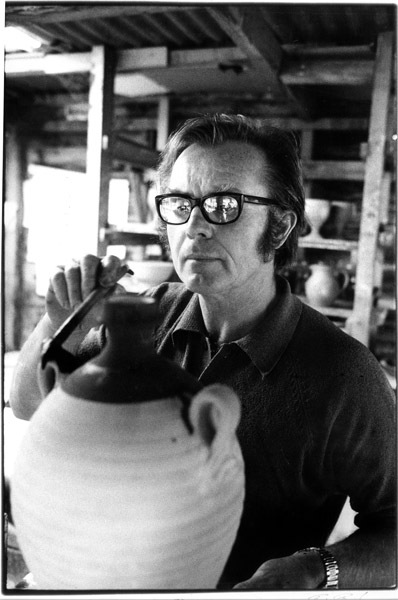 He became New Zealand’s first independent studio potter in 1954, establishing a studio in Nelson, and galvanizing the beginnings of the pottery movement there. During his sixteen years in Nelson, Smíšek also travelled widely, and worked in Japan with pottery Masters Shoji Hamada and Kenjiro Kawai, and with Bernard Leach at his pottery at St Ives in Cornwall. In 1968 he moved to the Kapiti Coast, and has built three studios here over the past 40 years. 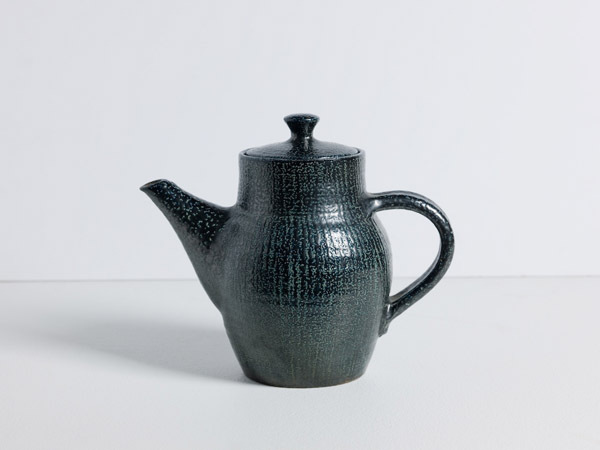 He has continued to work prolifically on domestic ware which fuses function and aesthetic qualities to a high degree, inspired by ancient sources including Celtic and medieval Europe, the pre-Japanese Jomon civilization and the 20th century Mingei folk-craft movement. Smíšek’s work is represented in Australia, Belgium, Canada, Czechoslovakia, England, Fiji, Germany, Japan, Korea, the U.S.A and New Zealand. 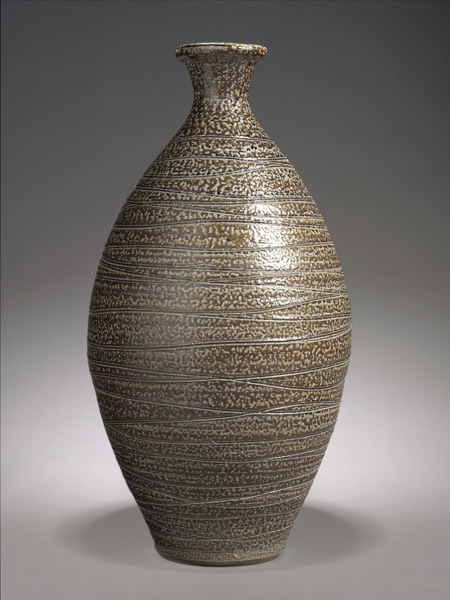 He was awarded a Diploma for Distinguished Work by the World Crafts Council at their 1974 International Exhibition in Toronto and an OBE for his services to New Zealand pottery in 1990. Sixty works surveying Smíšek’s key forms of bowls, yunomi, vases, jugs, crocks and plates. 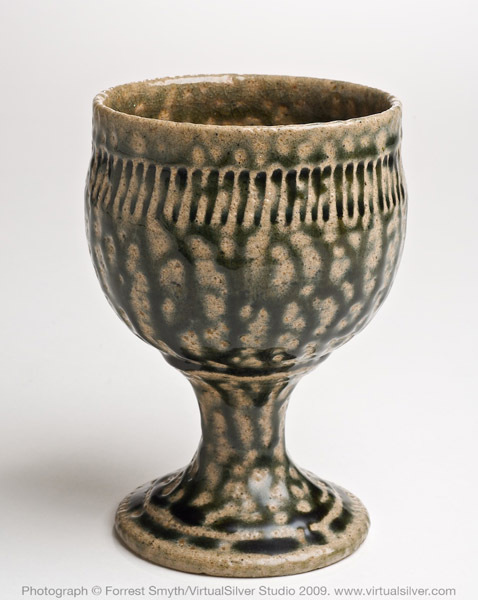 The earliest work was made in Sydney in 1949; 3 pieces of Bohemia ware from Crown Lynn, Auckland, 1951; early work from Nelson, 1954-68; Kapiti, 1969-2009. Eight large bowls presented as wall works, four large crocks and vases on floor-plinths. 48 smaller bowls, yunomi, jugs and vases displayed in five enclosed wall-cabinets. New Zealand painter Gary Freemantle initiated and selected this survey exhibition with Mahara Gallery. He brings a fresh approach to Mirek Smíšek’s work to the project, having lived at Smíšek’s Te Horo pottery in 1990 and collected his work since then. Justine Olsen, Curator, Contemporary Decorative Arts, Te Papa Tongarewa, and author of Peter Stichbury: a survey of a pioneer New Zealand studio potter (2007). A 78 page book including all 60 works in the exhibition reproduced in colour, with a foreword by Gillian Deane, biographical essay by Janet Bayly, and critical essay by Justine Olsen, chronology, potter’s marks. The biographical essay by Janet Bayly puts Smíšek’s work in the context of his life-story, formed by his childhood in Czechoslovakia, his experiences as a POW during World War Two, his move to New Zealand, and the range of international influences on his work. 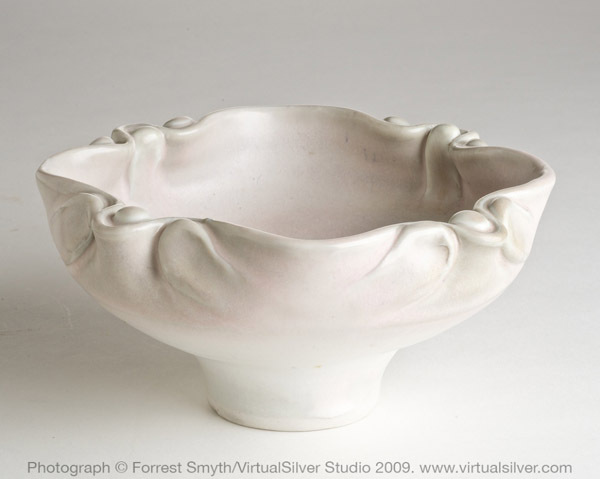 Justine Olsen’s critical essay surveys Smíšek’s contribution to the development of ceramics as an artform in New Zealand since the 1950s, with reference to the Bernard Leach Pottery at St Ives, the Japanese Mingei folk-art movement and Pottery Masters Shoji Hamada and Kenjiro Kawai. 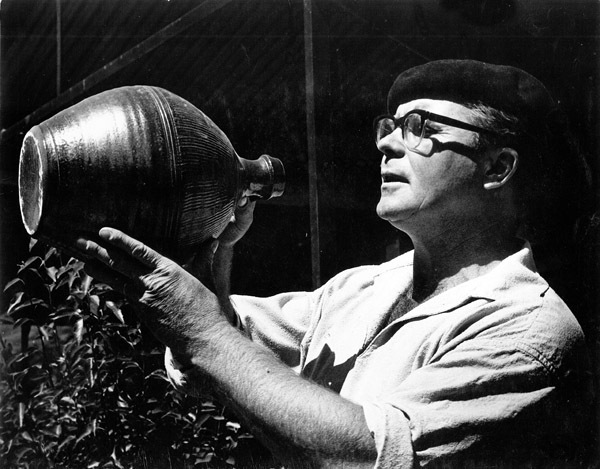 Mirek Smíšek, potter (1986). (DVD) An excellent 36 minute video documentary made by Stan Jenkins for the Department of Education, supported by QE 11 Arts Council. 4 large crocks and vases on floor-plinths. 48 smaller bowls, yunomi, jugs and vases. One covered floor plinth for Te Papa pot. Text panels, photographs and labels. Data projector or player/screen for A/V. Fee $4,800 +gst. Includes freight to and from venue, and marine transit insurance for 8 week slots. Works mostly wall mounted. Allow approx 50 running metres. Flexible. Catalogues wholesale @ $32inc , retail @ $45inc +p&p.